When it comes time to plan for your family’s future, setting up a living trust can be an effective way to manage your assets while detailing the terms of how these assets will provide for your family after you pass away. In fact, living trusts can open up a large number of options for people involved in estate planning, allowing them to customize these trusts to fit their needs, assets and plans for the future. In this three-part blog series, we will discuss some important facts to know when it comes to setting up a living trust. Although the discussion herein is general, you can easily obtain more specific information and professional advice regarding your situation by contacting the Denver trusts and estate planning attorneys at JR Phillips & Associates, PC today. Fact 1 – Living trusts can help beneficiaries avoid probate. Setting up a living trust can be advantageous in various ways. Here are some of the facts about setting up a living trust. Contact us to find out more about living trusts. Probate can be a very expensive, time-consuming and stressful process that can only compound your loved one’s stresses while they may be grieving. Having a will in place may not be enough to help your loved ones avoid probate in the future. Doing what you can now to help your loved ones avoid probate in the future can not only ease their stress but can also help them preserve your assets (so that your beneficiaries end up with these assets, rather than losing them in the course of probate). Fact 2 – Living trusts can be effective ways to manage property. Name a trustee who will be responsible for managing these assets while you (or your beneficiaries) receive the financial benefits. What this ends up meaning is that you will not have to deal with the headaches of managing certain assets despite the fact that you and your beneficiaries can still be provided for from them. In the event that you become disabled or end up passing away, the trust will likely continue providing for your loved ones in the future (depending, of course, on the terms of the living trust). We will resume this discussion regarding living trusts in a few additional parts of this blog series that will be published soon – be sure to look for them! Are you ready to get started setting up a living trust? 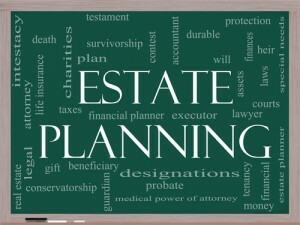 If so, you can turn to the estate planning lawyers at JR Phillips & Associates, PC. We provide a thoughtful, comprehensive approach to our clients’ estate planning needs, and we take pride in helping each of our clients and their families find the best solutions for them. To learn more about your best options for estate planning, set up an initial consult with one of our Denver estate planning attorneys. To schedule this meeting, call us at (303) 741-2400 or email us using the contact form at the top of this page.